This highly unscientific survey is one that many superintendents encounter all over the Connection. And the recent Call to Action reordering to the United Methodist Church has folks from everywhere bent out of shape about change, rules being broken, and the going against principles previously held dear. Has anyone ever given any thought to the fact that maybe, just maybe, some of those things we have held dear just might be part of the problem? Guaranteed pastoral appointments sounded like a great idea: women and minorities would be assured of a place in the pulpit instead of prejudices dictating church leadership. The unintended consequence? Exiting someone who is an elder in the church yet ineffective in ministry is a tough row to hoe, and regardless of how well the letter of the law is followed and how much documentation you have, it is an even bet that you'll be sued (or at least threatened with such) as an annual conference. Most pastors want/expect/require a raise in salary and a larger church whenever they receive a new pastoral appointment. Problem? In a denomination with shrinking resources and membership, this is becoming less and less of a possibility. It is becoming more common in pastoral moves that there is little or any "raise", and sometimes it is even to a smaller church or a church that pays a lower salary. In most cases, it's not punishment, but a simple reality of availability and congregational need. Apportionments sound like a great idea too - doing more with a dollar in mission nationally and globally than you would ever be able to do as a single church. However, in some cases general agencies morphed from being missional agencies working for the local church into entities to themselves, often with agendas that run tangent to the very congregations that support them (as well as sometimes playing footloose with the Book of Discipline, making it hard on superintendents like me to defend paying some apportionments). Giving housing allowances in lieu of parsonages also sounded like a great idea: church and conference trustees could get out of the housing maintenance business, pastors could build equity not previously had. But it soon led to making it more difficult for pastors to itinerate. Churches started doing the math and realized it wasn't always cheaper to sell off their parsonages and pay housing allowances after all, and some now face the real possibility of not being able to afford to pay a housing allowance OR buy a parsonage. Some preachers found out that selling their house or recovering their investment wasn't as easy as the realty experts told us. All of these things were done by committee. All done with good intentions. Problems? Lack of vision. No long-range planning or direction. 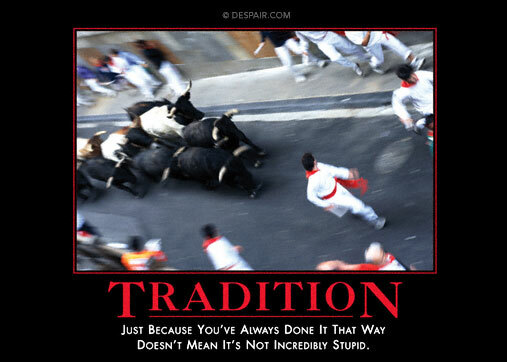 Unwillingness to adjust and say, "That was a good idea at the time, but no longer works well." These are just a few of the things we have to revisit as a Church and denomination - not because of what we did before was bad, but simply because it no longer works or is effective. The good news is that Jesus Christ is still Savior, and still very much alive - and can redeem anything. There are a lot of churches and people who are doing marvelous work and walking by faith! So what do we need to be willing to change? What no longer works? And how do we muster up the courage to change? I invite your responses. Sky, now I am totally disallusioned. I thought people became lawyers and doctors to become rich. Now you are saying they also expect the same thing when they become pastors? I thought their pay was the souls they served, the comfort they provided, expanding the love of the Lord. Boy, am I OLD. Well said, my friend, and you're right. Several things need to be revisited. I absolutely love what I do, and can't imagine being anything other than an United Methodist pastor. It's not a perfect system, but like you said, most everything can be redeemed. As far as expecting to get rich as a pastor...not at all. Ministry has its own rewards, no doubt, but in response to the above, gas costs us $3.69 per gallon just like it does doctors and lawyers. As one of your clergy, I will do all I can to help you. Peace. I agree that some of the things you mention need to be changed. I don't think the guaranteed appointment is one of them. I was one of the pioneer clergywomen ordained in my conference (deacon in 1979, elder in 1983). I have faced prejudice in almost every congregation I have served because of my gender. I have also worked to help the church cross racial boundaries. Racism has been more of an issue for my ministry than gender. The guaranteed appointment gave me enough security to address some of these injustices. If the guaranteed appointment is abolished pastors will be even MORE inclined to preach a "pleasing" sermon to a congregation. Prophesy goes by the wayside. I appreciate your comments - but disagree. The itinerant system helps better insure that women and people of color will be appointed to churches with regards to one's gender or race. Prophesy only goes by the wayside when one preaches out of fear rather than conviction - and the guaranteed appointment is no guarantee of prophesy; hence, the denomination is in the shape it is. The guaranteed appointment also sends a mixed message to our churches: the preacher might preach to the congregation to be bold, take risks for the Gospel, be willing to sacrifice all to follow Christ. Yet pastors have a 'safety net' that most of their church members do not have. Prophets rarely have such safety nets - and there is nothing biblical about a 'guaranteed' pulpit. Indeed, preaching the truth often puts us at peril. 1. Who will be doing what? It's a great question. The quick answer is: we're working on it! Our next few staff meetings, along with working with the staff-parish relations committee, are to address this questions. One of the things that we're sure of as we've worked and prayed for months about this: the Spirit is nudging us to move from being a staff-driven church to a Christ-driven church. Passion is good. We should have a burning passion for God and God's people.Position. Knowing what we believe and proclaim is faithful.Possible. With God all things are possible. adjective• hard to control or deal with. synonyms: unmanageable, uncontrollable, difficult, awkward, troublesome, demanding, burdensome: "intractable problems" • (of a person) difficult; stubborn. Much has been said, written, and continues to be debated regarding the called session of General Conference 2019, The Way Forward, and the threefour several Plans being advocated. I won't add to the many opinions, theological treatises, and scientific theories regarding sexuality, Natural Law, and modern psychology. Everyone has an opinion, and we'll continue to hear about them ad infinitum. 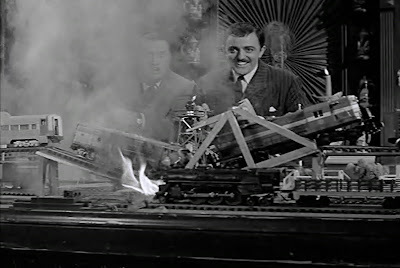 Unless you're Gomez Addams, train wrecks are not fun to watch. Some fear a train wreck is in the making at the called General Conference of the United Methodist Church next month. I hope for the best, and pray that some of the nitty gritty things are being fleshed out, so that the main purpose can be accomplished.